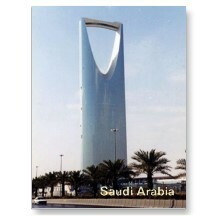 Kingdom Centre also called Kingdom Tower (Arabic: برج المملكة‎) is a skyscraperlocated in the city of Riyadh, Saudi Arabia. 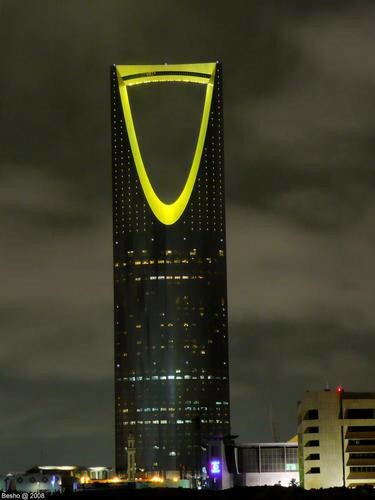 It is the second tallest skyscraper in Saudi Arabia, with a height of 302.3 m (992 ft). It's also the third tallest building with a hole in the world (after Shanghai World Financial Center and Tuntex Sky Tower). 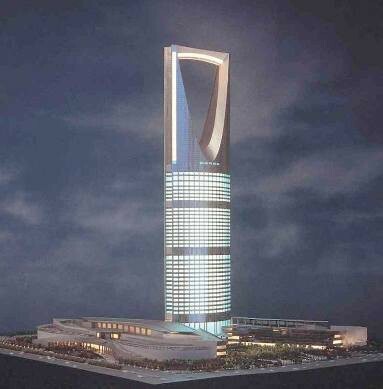 Kingdom Tower contains a total of 99 floors and 2 basement levels. Kingdom Tower is owned by Prince Al-Waleed bin Talal, a prince of the Saudi royal family. It is also the headquarters of his holding company: Kingdom Holding Company. The total cost of the project was US$ 400 million and the contract was taken by Saudi Arabian Al-Seif and The Italian Impregilo.